Returning to Hall 5 and the outdoor area at the NEC, Birmingham, UK from 19-20 September 2018. The Emergency Services Show is a unique and growing event, promoting collaboration between the emergency services. Free-to-attend, it brings together all disciplines from the emergency services sector to discover innovative technology and operational solutions, share experiences and prepare for future incidents. The two-day event will feature a host of key learning opportunities including CPD-accredited seminars. West Midlands Fire Service will also be hosting extrication, first aid and trauma challenges. There will be a wealth of free advice on physical and mental wellbeing as part of the event’s focus on supporting those working in demanding and challenging roles. Emergency services and partner agencies will share their experiences of responding to real incidents in the Lessons Learnt seminar theatre (sponsored by UCLan). Following its successful introduction in 2017, the Health & Wellbeing seminar theatre will also return. Speakers will include emergency responders who have experienced mental health challenges, and organisations who are implementing change and offering support. The College of Paramedics is returning to deliver its very popular programme of free 30-minute CPD workshops which all emergency services personnel are welcome to attend. Around the indoor and outdoor exhibition visitors will be able to see and touch the latest kit and discuss solutions to their needs with suppliers. The organisers are delighted to welcome back key suppliers including BMW Group, Bristol Uniforms, Jaguar Land Rover, Stryker UK Ltd and Vimpex. Many exhibitors will be demonstrating new solutions and technology on their stands. 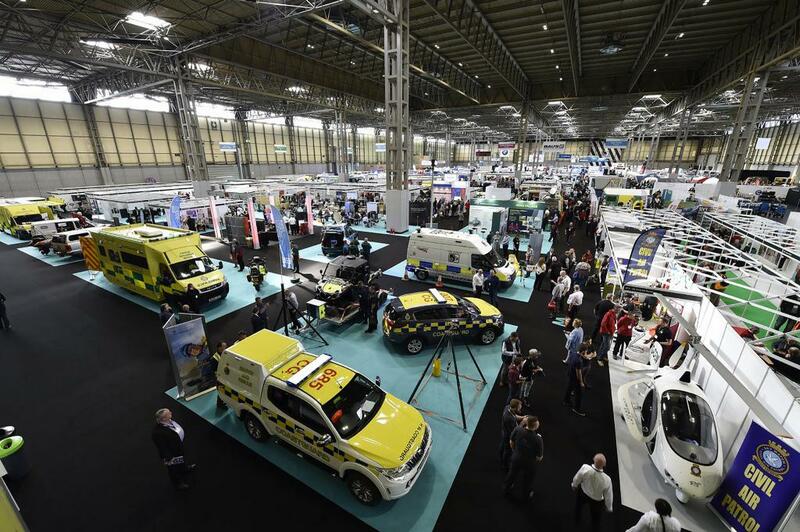 Companies that will be exhibiting at The Emergency Services Show for the first time include the British Burn Association, BC Lifeguards, Fire Service Research & Training Trust, Haemoconcepts, Headset Services, Oscar Kilo, SimTrainer UK, Strongmind Resilience Training, Sub Zero Technology and UK ISAR. In the networking hub of the show, The Collaboration Zone, over 80 emergency services, voluntary groups, charities and NGOs will be sharing details of the support they offer, while members of other partner agencies will be available to discuss co-response and other areas of partnership working. Supporting organisations include Association of Air Ambulances, British APCO, the newly formed Central Programme Office (custodians of the FRS National Operational Guidance Programme), Fire Industry Association, Independent Ambulance Association, ResilienceDirect, The National Fire Chiefs Council and United Kingdom Rescue Organisation (UKRO) among others. Entry to the exhibition and seminars is free, as is parking. The NEC is linked to Birmingham International Station and Birmingham Airport and is directly accessible from the UK motorway network. The Emergency Services Show (ESS) is aimed at anybody involved in emergency response, planning and recovery, including all blue light services, voluntary workers and service providers. Exhibitors include leading names in firefighting equipment, search and rescue, extrication, first response, communications, IT, protective clothing and uniforms, vehicles and fleet, vehicle equipment, outsourcing, training, community safety, station facilities, water rescue and medical supplies. ESS is a trade show only and not a public event. There is no entry to under-18s.